In China’s ongoing crackdown against Christianity and other religions, authorities in the city of Guangzhou are now paying citizens to turn in their faith-practicing neighbors. People who report “illegal religious activities” can receive cash rewards up to $1,500 in U.S. dollars while remaining anonymous. 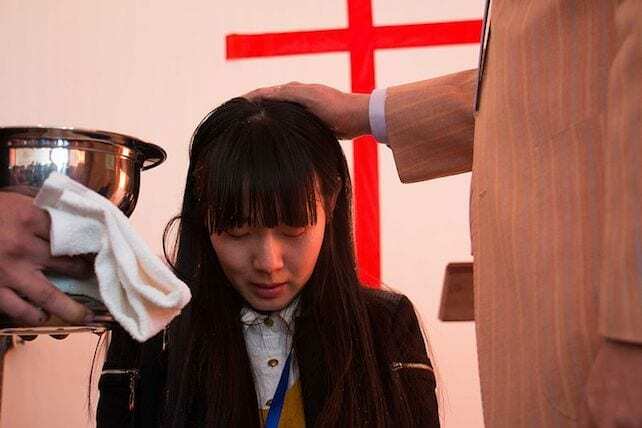 The measures, announced March 20 by Guangzhou’s Bureau of Ethnic and Religious Affairs, target Protestant “house churches” but will likely affect Catholics and people of other faiths too. The tactics are expected to spread beyond Guangzhou. “Now here in China we live in a Big Brother atmosphere,” says one newly baptized Christian. For more than a year, Chinese authorities have tried to gain more control of faith practices, targeting “unregistered” Protestant churches, rewriting the Bible, and demolishing “unapproved” Catholic churches and mosques. The Christian faith seems to be flourishing amid the persecution, even as it’s being driven more underground. It’s also illegal to “establish religious places without authorization,” to organize “unauthorized religious courses, conferences [and] pilgrimages,” and to teach catechism to children at home. In China, people under 18 can’t participate in Mass or catechism classes. The cash rewards are tiered, depending on how much information people offer. Providing “clues” yields a smaller amount, providing “evidence” yields more, and the top amount goes to those who “provide evidence and help in the investigation leading to the arrest of the leaders responsible for illegal foreign religious organizations.” In China, $1,500 represents about two months’ salary. Only the first person to report someone will receive payment. Other systems to pay whistle-blowers are in place throughout China. People who provide a venue for an “illegal religious event” face hefty fines, and educational facilities that allow unsanctioned religious teachings can have their license revoked. Brynne Lawrence of ChinaAid says the government is cracking down “because it views religion as an attempt by foreign countries to infiltrate and undermine its power.” Anyone with connections to foreign religious people faces the most suspicion, she says.